Updated Tuesday August 30, 2016 by Mariner Youth Soccer. 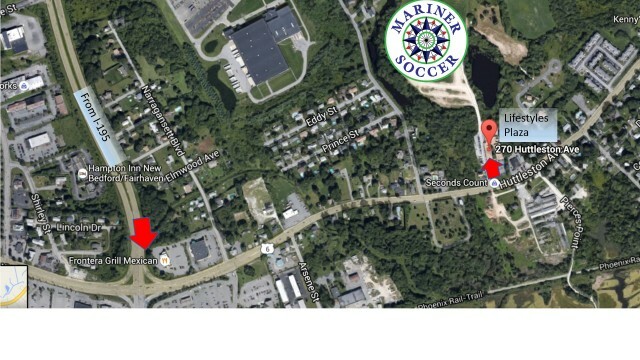 The Mariner field complex is located at 270 Huttleston Ave., Fairhaven, Mass, behind Lifestyles Plaza. Use the driveway to the left of the plaza to the gravel driveway. Take Exit 18 off I-195 and get onto MA-240 South. At the second stoplight, make a left onto Route 6 East. You will see Lifestyles Plaza on your left. Wanna download a map? Just download the PDF here.